If you plan to drive from Sydney to Melbourne, you have a choice of two major road routes to follow. You can follow Princes Highway (Highway 1) all along the coastal route, or take the shorter inland route on the Hume Highway. Sydney to Melbourne on the Princes Highway is 1037 kilometers, and on the Hume Highway 873. Note that road changes, bypasses and the construction of expressways on these two highways may have affected the listed distances but these are expected to have remained relatively — and proportionately — accurate. The Hume Highway is named after Australian explorer Hamilton Hume (1797-1873) who pioneered the Sydney to Melbourne route in 1824 with fellow explorer William Hovell. If you like dawdling along a scenic route from Sydney to Melbourne, the Princes Highway is the route for you. For those who just want to get there quickly — but still have time perhaps to discover attractions along the way — the Hume is the highway of choice. From Sydney city center, follow George St south and veer right at Railway Square into Broadway which leads west into Parramatta Rd. Watch for signs indicating the turn to take for Liverpool or the Hume Highway. Turn left from Parramatta Rd at the indicated intersection into Liverpool Rd which is the start of the Hume Highway. The Hume is Highway 31, so you can just follow the numbered route. But when you reach Liverpool, the Hume Highway becomes part of the M7 in the Sydney Metroads Network. Follow the M7 route until you reach the Crossroads, a major intersection just outside Liverpool, and veer left following the signs saying Campbelltown and Canberra. This road leads into the South Western Freeway (M5) which is the Hume Highway expressway out of the greater Sydney metropolitan area. You'll find that the expressway is now marked 31, indicating it is part of the Hume. The expressway bypasses a number of towns along the old Hume Highway route, so if you do want to enter any town along the way, you'd need to exit the freeway and rejoin it at the other end of town. If you wanted to visit the Southern Highlands, about an hour out of Sydney, you'd have to leave the highway at Mittagong and travel further inland, perhaps to Bowral where the Don Bradman Museum is located and where the Tulip Time Festival is held yearly, and other towns in the highlands. There'll be signs aplenty to show you the way. After Moss Vale in the Southern Highlands, the Hume Highway may only have sections of freeway. Past the city of Goulburn, which you may bypass (of course, through the bypass), be sure not to turn left into Federal Highway which leads to Canberra. Roughly west-southwest of Goulburn you'll find — between Coolac and Tarcutta — the town of Gundagai at the outskirts of which you'll find the Dog on the Tuckerbox of folksong fame. Sometime after Tarcutta you'll find Holbrook with its submarine on dry land. 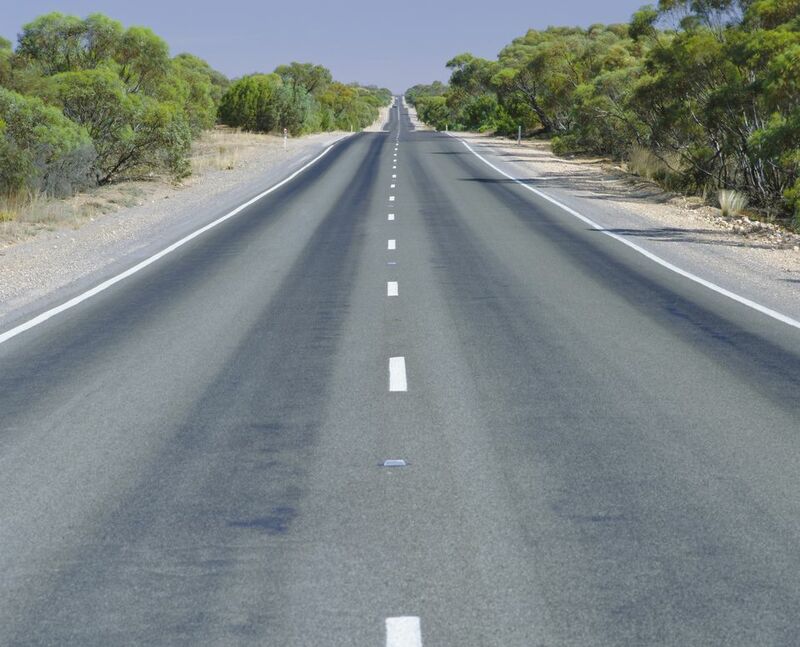 Continue following the Hume Highway to the border towns of Albury (New South Wales) and Wodonga (Victoria). Between these two towns is the turnoff into the Hume Freeway which should bring you to Melbourne. Between Wangaratta and Benalla, you'll find Glenrowan, well known as the place where the bushranger Ned Kelly was captured. Ned Kelly was later tried, convicted, and eventually hanged at Melbourne Gaol. The Hume Freeway should then take you directly to Melbourne's doorstep. There you have it, Sydney to Melbourne!